Our military defense lawyers have successfully represented Army soldiers around the world. Check out our case results to learn more. The experienced military lawyers at Gonzalez & Waddington have developed a reputation for defending Soldiers at Army installations worldwide. 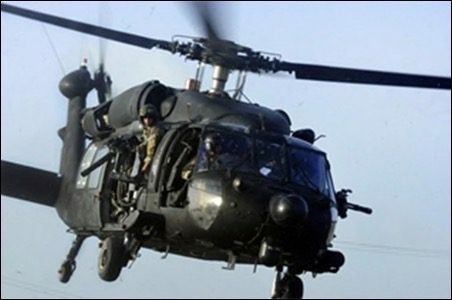 If you are stationed at Hunter Army Airfield and are suspected of a military crime, then hiring the most experienced defense lawyer can be the difference between going to jail versus winning your case or saving your career. Our court martial defense lawyers represent Hunter Army Airfield service members in both criminal and administrative matters to include defending service members accused of sexual assault, murder, and other crimes under military law. Unlike most civilian defense attorneys or your free Army lawyer, pleading guilty is not something we commonly do. Our lawyers force the Army to prove their case beyond a reasonable doubt. We take nearly every case to trial and fight the allegations in front of a military jury. Our US Army court martial results speak for themselves. The accused Soldier and his or her future is our chief concern. Our defense lawyers maintain lighter caseloads than the typical appointed US Army military attorney so that we can concentrate on every client separately. Your trial will not be outsourced to a random lawyer and we will not coerce you into a guilty plea at the last minute. Our military lawyers have successfully defended Army court martial and administrative separation (ADSEP) cases in the U.S. and worldwide. Our hard-hitting Army military defense lawyers will use our skills to fight your court martial or administrative separation (ADSEP) case at Hunter Army Airfield. Call today to consult with a high-powered court martial defense attorney. Army soldiers working at Hunter Army Airfield merit the best military lawyers possible to represent them at their court martial or ADSEP hearing. If you or a family member are stationed at Hunter Army Airfield and are suspected of a military offense such as sexual assault or if you are facing an administrative separation, Article 15, show cause board, letter of reprimand or GOMOR, then contact our court martial lawyers now. Hunter Army Airfield is based in Savannah in the state of Georgia. It is one of the subordinate installations (to Fort Stewart, which is located in the city of Hinesville in the same state). This military airfield has a 3,468 m long runway, with an aircraft parking area spread out over 350 acres. The main runway and various other buildings were ready for use in September 1929, and this facility was first called the Savannah Municipal Airport. This airport also became incorporated into the Eastern Air Transport Incorporated air route in December, 1931. It was later in May, 1940, when the airport was renamed as the Hinter Municipal Airfield. This was done during the Savannah Aviation Week to honor the Lieutenant Colonel Frank O’Driscoll Hunter, who was a resident of the region and was also a flying ace during the First World War. The Hunter Army Airfield officially began operation in 1940 and an Army Air Corps base was constructed here the same year. A thriving community lives at the Hunter Army Airfield and various events are held each year for its residents. A SHARP program is being run in order to educate residents about sexual assault. A number of other systems are also in place, with their main aim being to regulate and control all actively serving members posted at this airfield, as is true for many other army bases. However, there is no place that is completely free from crime, whether it is petty or serious, and this Airfield has also had its fair share of such incidents.